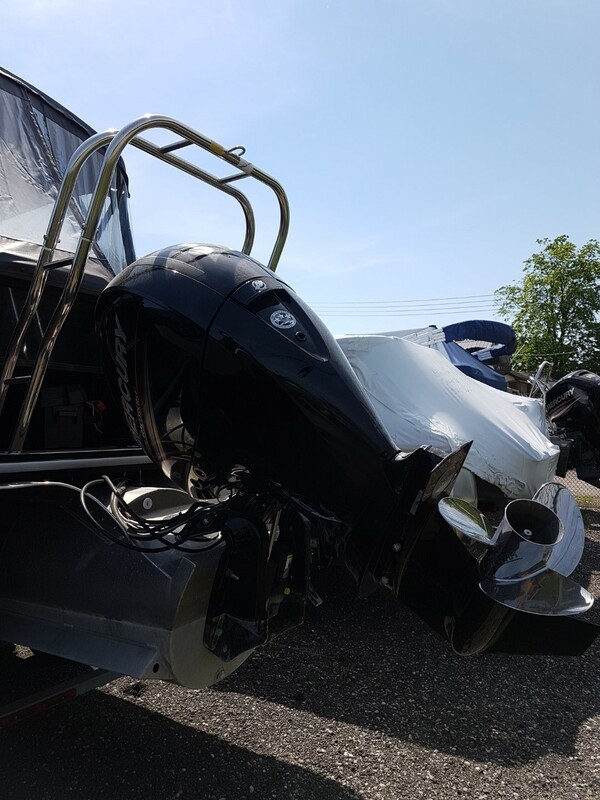 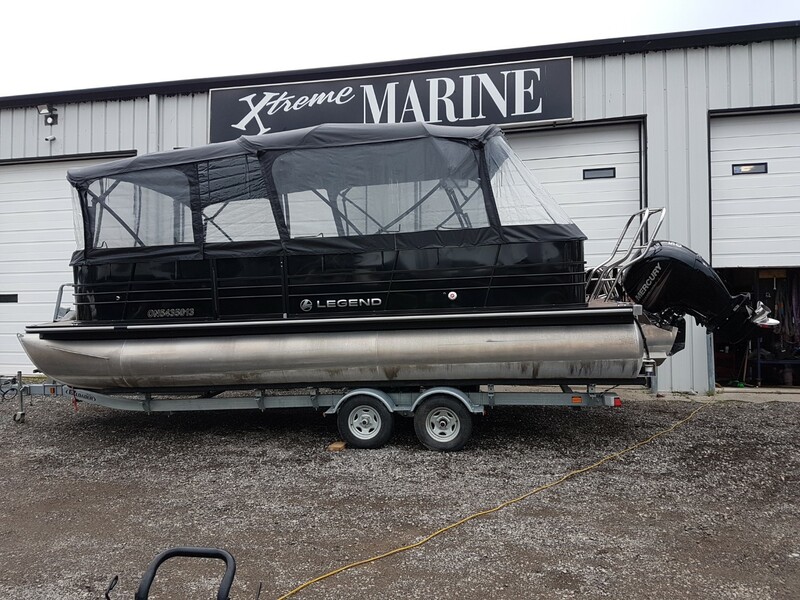 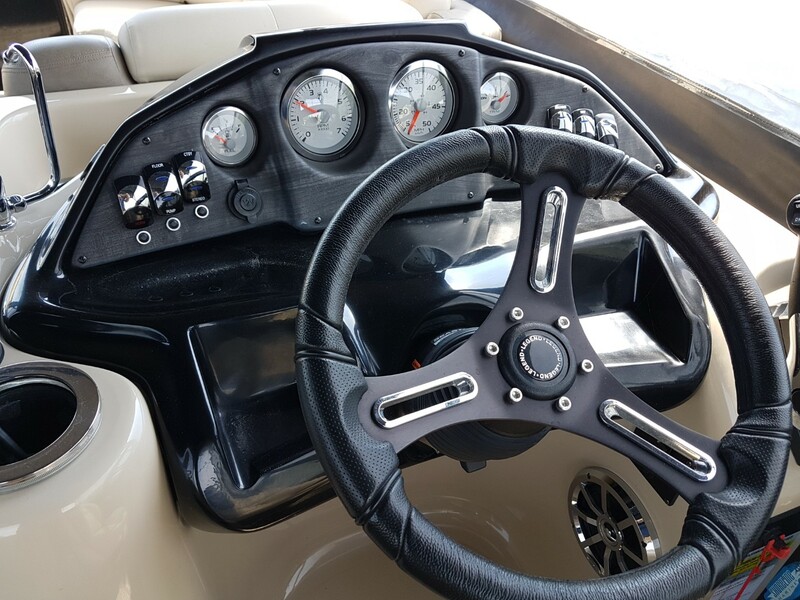 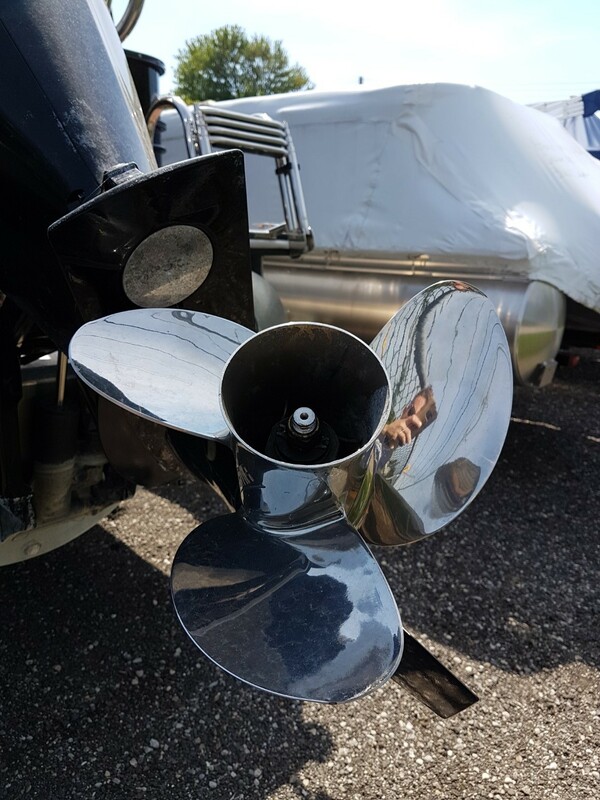 Another clean, quality used boat from Legend and Xtreme Marine London – your number one source for new and used boats in the London area! 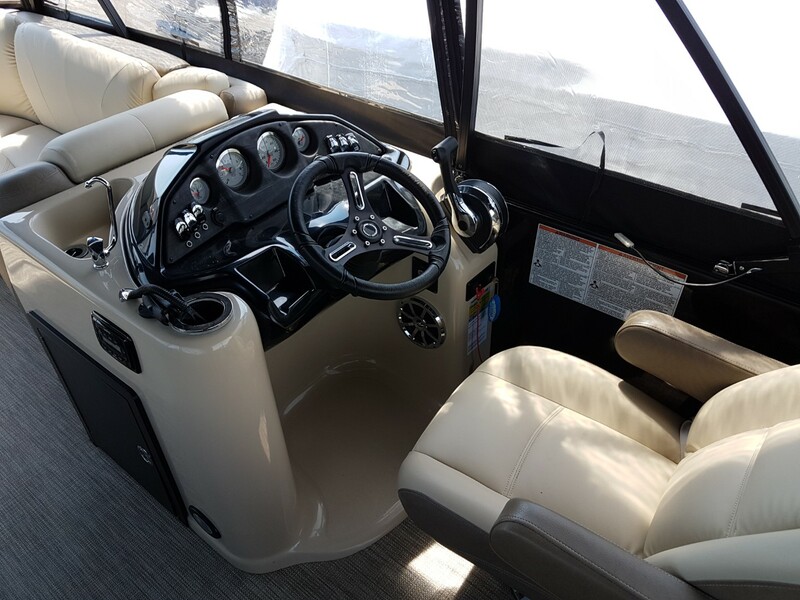 The 2016 Legend Black Series Flex has only one limit – your imagination. 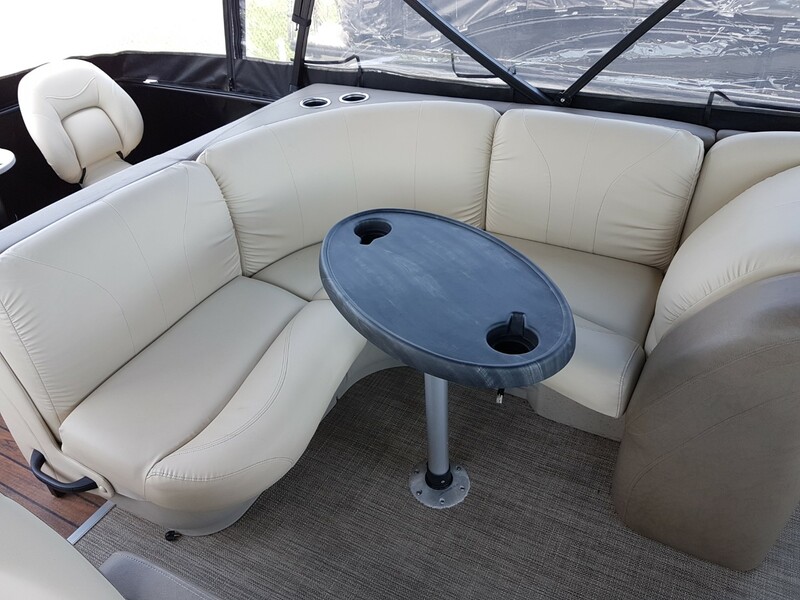 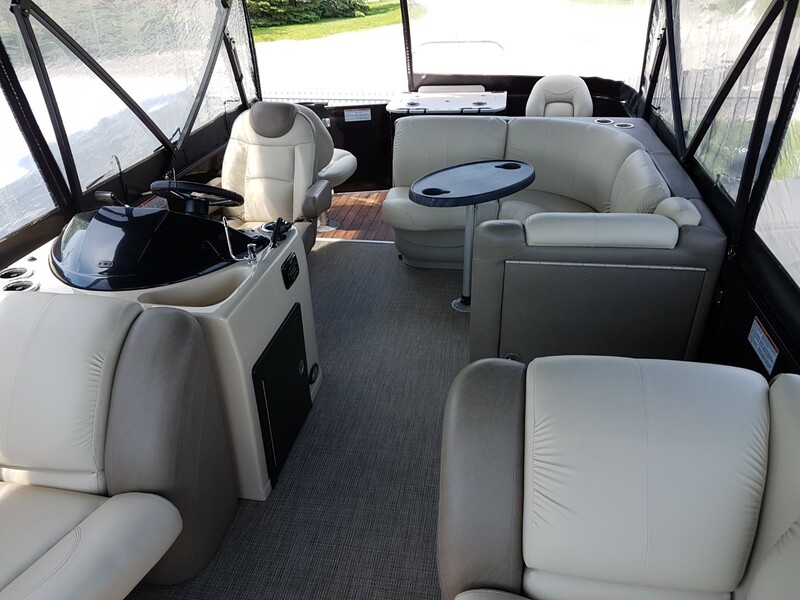 Chat, play cards, fish, lounge, tube and ski, with so much room and flexibility on this pontoon there’s no way you can do it all in one day. 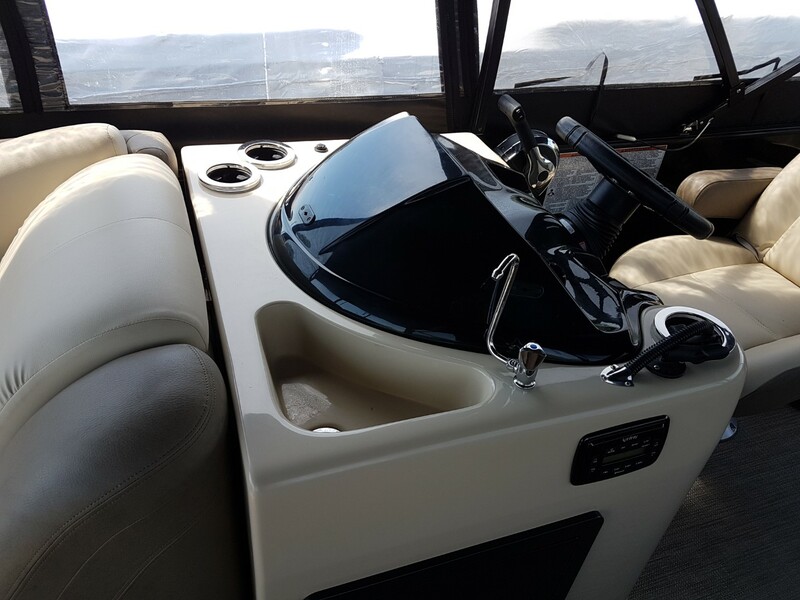 We just received this in on trade and it is loaded! 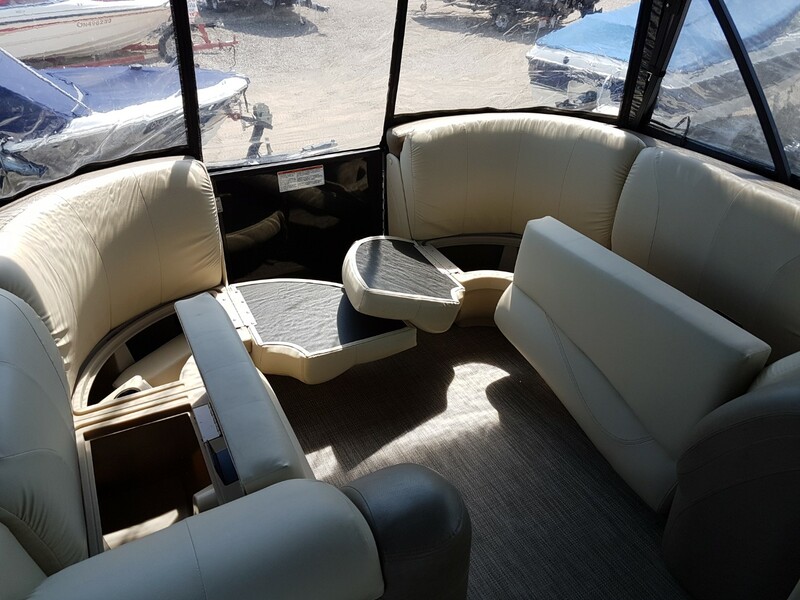 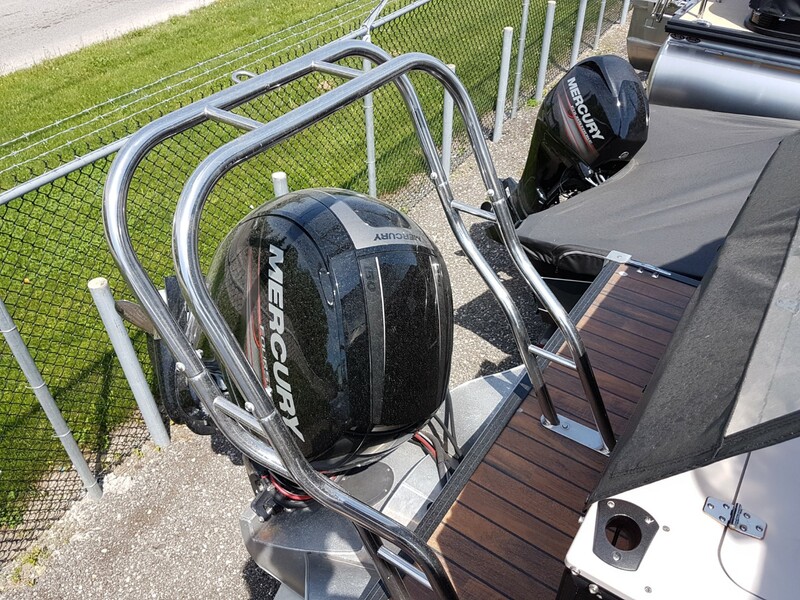 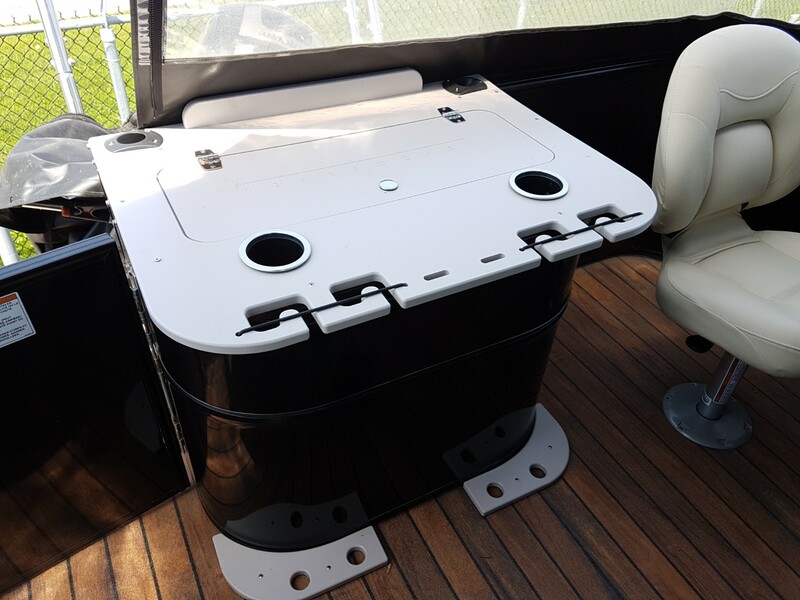 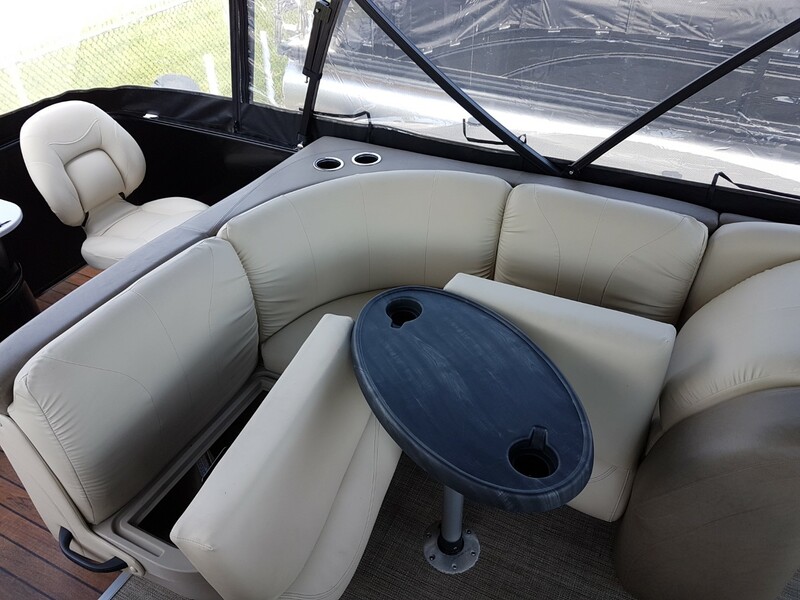 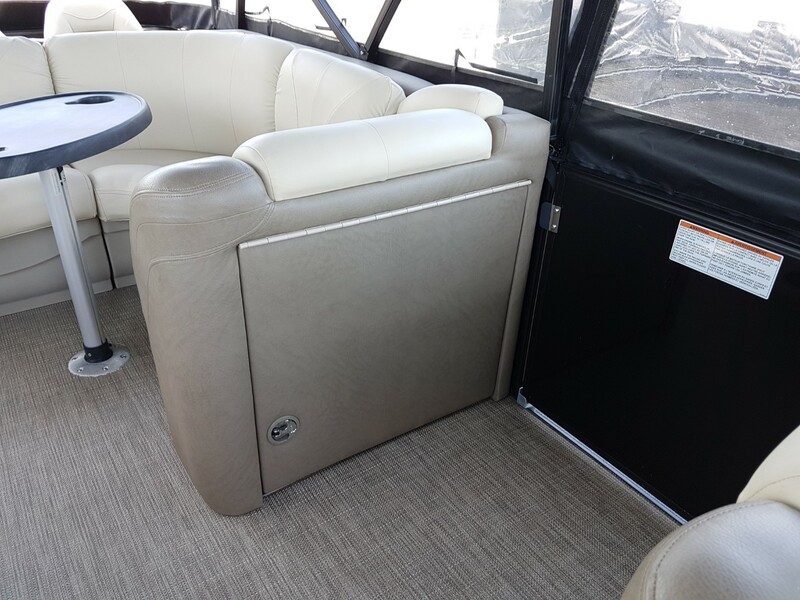 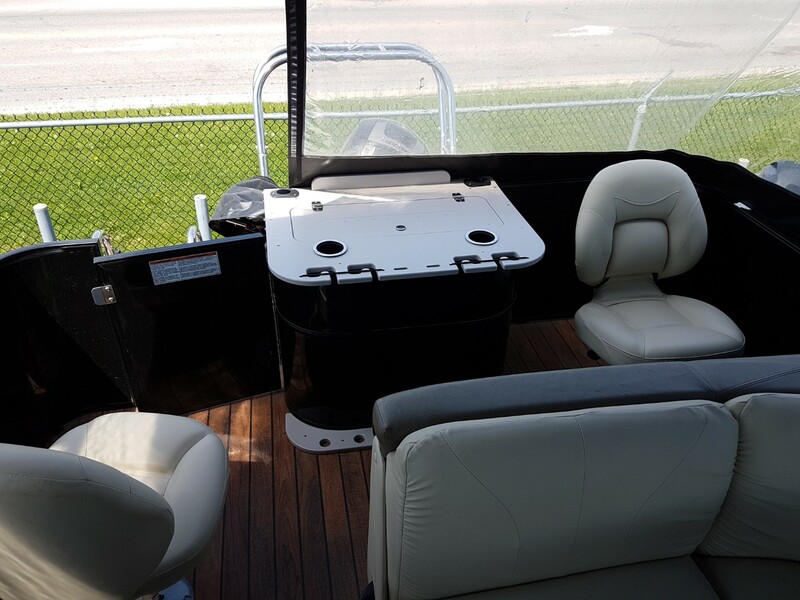 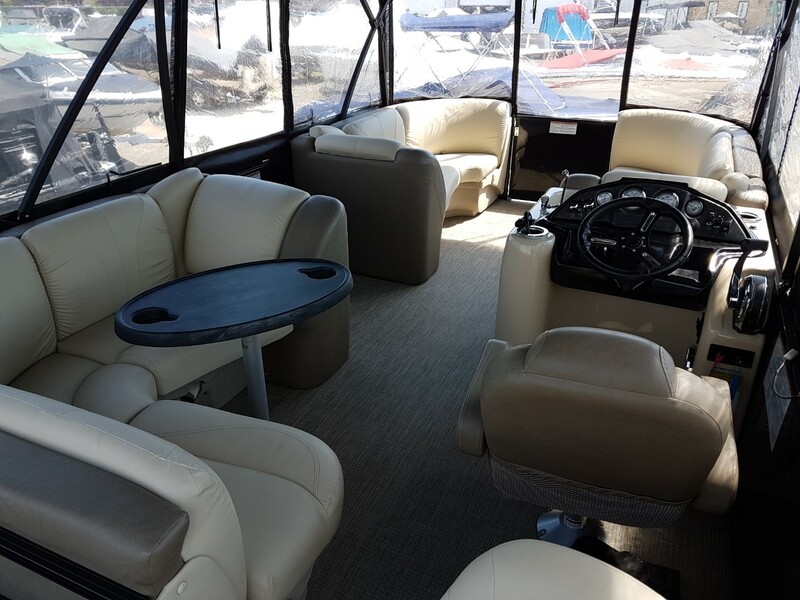 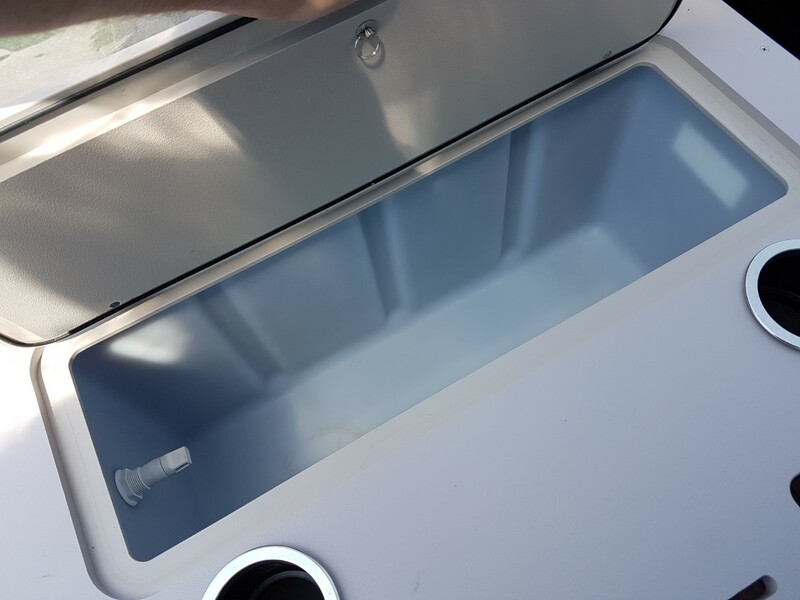 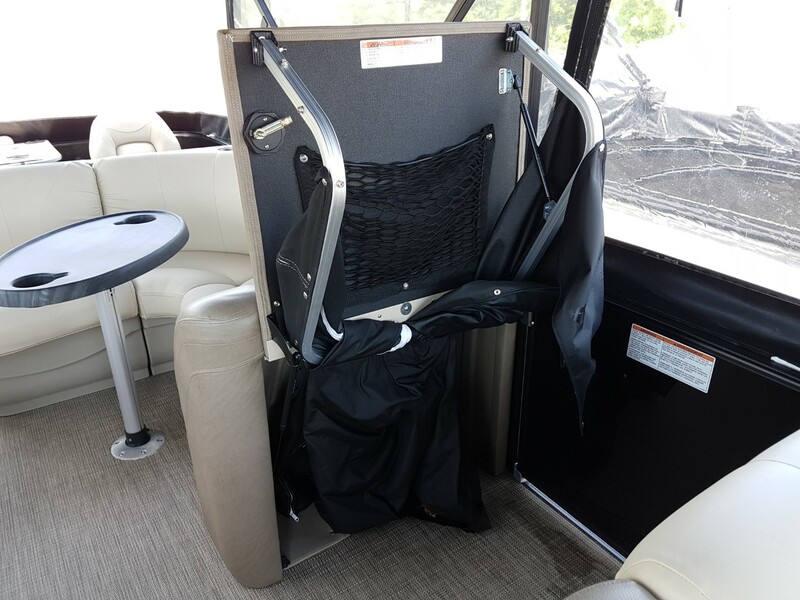 Coming with a mooring cover, FULL ENCLOSURE PACKAGE, fish finder/GPS, TRAILER, pop-up changeroom, sink and MORE, this pontoon is loaded and powered by Mercury’s 150HP Four Stroke outboard.